Welcome to another exclusive stream here at Casinogrounds. 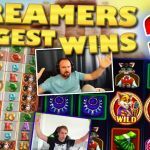 This time our Letsgiveitaspin will be hosting Lars and Daniel from ELK Studios while they present us with their latest video slot Joker Gems. 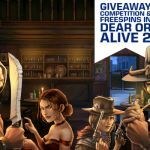 Well first of all, if you are an active CasinoGrounds or Letsgiveitaspin player you will receive 25 free-spins (UK Residents: You will receive £5 bonus funds**) in the game, just by clicking into it at LeoVegas. I do not have an account at LeoVegas or Highroller yet: Well, you are in luck, sign up through us or Letsgiveitaspin at LeoVegas or HighRoller before 23:59 CEST 06.10.18, and we will make sure you also get the package within 24 hours, in addition to our standard package, which is credited instantly. Join our Photoshop competition, and win great merch from ELK gaming! Are you a creative soul, and want to share this with your fellow members in our community? Now is your chance to show-off some PS skills! All we ask, use some pictures from the shared google drive below and create something awe-inspiring, beautiful or down-right funny. If you’re giving your fellow gamblers some level of entertainment, you’re halfway there! What are you waiting for? Get in! Receive 25x Free spins at the value of €/$0.20 each. -The definition of “Active Player” means the individual has made a real money deposit at the selected casino the last 30 days. Active and New Players Bonus Package: $/€5 with 35x wagering requirement. The funds can only be used at the game "Platooners"
Bonus funds available for three days. Active and New Players Bonus Package: £5 with 35x wagering requirements. The definition of “Active Player” means the individual has made a real money deposit at the selected casino the last 30 days. Active and New Players Bonus Package: £5 with 1x wagering requirement. Welcome Joker Gems from Elk Gaming - This brand new video slot is a bright one indeed! The first thing that hit me when I opened Joker Gems was the three jackpots and the seemingly empty reels which might seem a bit “anti-climax” at first glance. That said, this is where the ELK genius comes into play. Start spinning the reels, and see how fun it is to collect these symbols! Lovely. The mechanics in Joker Gems revolves around cluster pays. This is very clear both during the base game and whenever you trigger the re-spin bonus round. 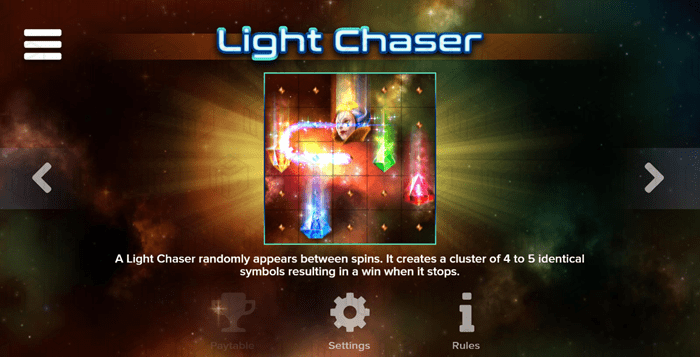 To collect the jackpots, you need land a specific cluster, and whenever you have a losing spin you have the chance of activating “the light chaser feature” giving you another cluster of symbols which effectively grants a win, and a re-spin. In Joker Gems we find a 5x5 grid on top of a cloudy space themes background, giving a dreamy feel. All symbols in the game are different coloured gems, except the highest paying symbol which is the joker. The package comes nicely wrapped with well fitting, spooky soundtrack. We find a couple of nice special features in Joker Gems. One of them being “the light chaser feature” which triggers randomly between spins. Another pretty cool feature is the default re-spin on all combinations, potentially granting more of the same symbol. What we cannot find though, is the standard wild and free spin granting scatter symbol. Between spins, you might get lucky and have a visit from the random trigger in Joker Gems. Whenever the Light Chaser Feature is triggered, a light starts dancing across the reels, granting a cluster of symbols. As you always get a re-spin on clusters, this feature effectively gives you a win plus an extra spin every time it’s triggered. - Nifty indeed! As mentioned a couple times already, the re-spins in Joker Gems is activated whenever there’s a combination of three or more symbols on the reels. The symbols are stuck their spot on the reels. 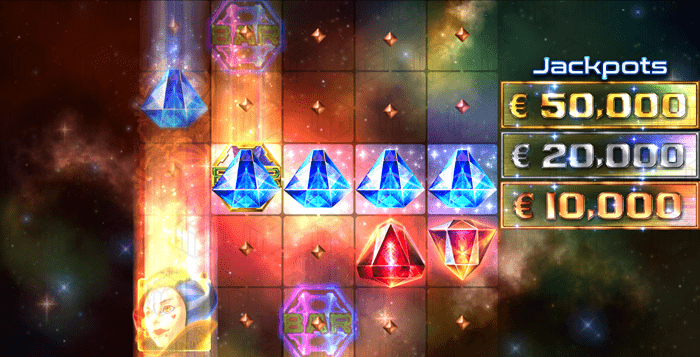 If you are lucky, the -re-spin will grant more symbols to build on to the existing cluster, giving you higher winnings. The re-spin bonus round will stay active until no more symbols land in a cluster, and your winnings are paid out before you make another spin. You will notice three jackpots in Joker Gems, all seemingly very available. All you have to do is land one specific symbol in a specific pattern to unlock! Must be easy right? For the minor jackpot, fill a 3x3 grid in the center of the reels. For the midi jackpot, fill the frame around this 3x3 grid. 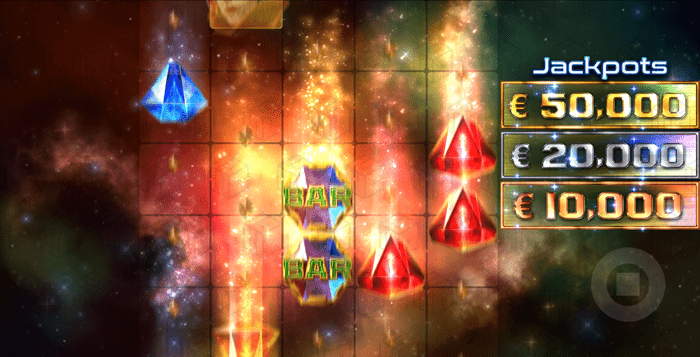 Finally for the Major Jackpot, yeah you guessed it, fill the whole 5x5 grid with any symbol and the $50.000 is yours! To be frank, at first glance, the game seemed a bit boring and maybe even underwelming. That changes a lot after you give the game a few spins. The empty reels make sense as soon as you start collecting gems, and the atmospheric background music just creates this “lost in space” feeling that works super well with the overall game design. How do we like the volatility in Joker Gems? 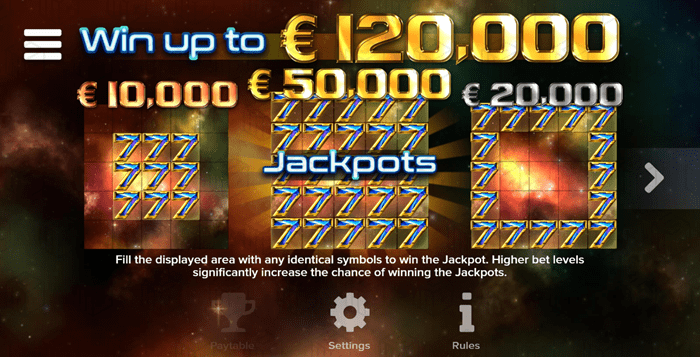 If you manage to fill the reels with one symbol, you hit the full jackpot of $50.000. This is possible at any bet-level, however the higher the stakes, the higher the possibility to fill the reels. How they’ve managed to keep the RTP somewhat the same for high-rollers and low-rollers alike is unclear to us. Hungry to try our Joker Gems for Real Money? 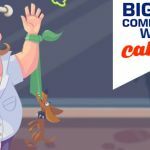 The game launch date is set at September 4th, and you will find it first at LeoVegas! Get in!